Question 1: What should clients do before seeking out a contractor? 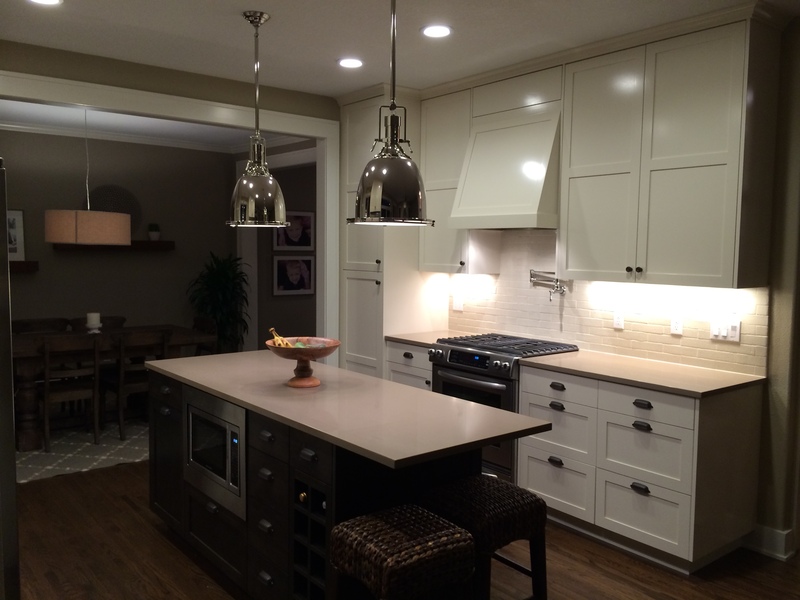 Clients should have clearly defined their scope of work and vision before meeting with a contractor. The easiest way for most clients to do this, is to meet with an architect, draftsman, designer, or even better, a combination of these trades. This serves several key functions which the vast majority of contractors are ill equipped to handle. It helps clients to visualize their remodel and provides them with drawings that can be tweaked and refined until the desired result is achieved. It also helps clients to choose materials and finishes, so that spec lists can be compiled, which are absolutely crucial for an accurate estimate or bid. Most clients don't' have a specific vision in mind before meeting with one or all of the above listed professionals. That is not to say they don't know what they want, most do. However, turning those ideas into something that can be used to build the "bathroom of your dreams" is an altogether different situation. That's where an architect/designer comes in. Let's take our "dream bathroom" for instance. When you meet with a contractor and have a general idea of what you want (wall moved, new closet, custom shower pan, double vanity etc. ); he'll put together an estimate. What you're really getting is a guesstimate. A guesstimate makes it very difficult to budget for your project, and to know what you can and can't afford. If you meet with an architect and designer first, it allows you to work through all the minutiae associated with a construction project, (wall moved to this exact location, one side drywall, one side clad in reclaimed fir, three inch CVG fir baseboard, closet to include four shoe racks, specific size and height of rods and shelves, shower to be constructed of 6x12 Carrera marble on walls with mosaic marble on floor, this specific shower head, this specific drain, this specific bench seat, and so on, and so on....) which allows an accurate and complete bid to be compiled when you talk to a contractor. The average cost of an architect/designer is around 10% of the total cost of the project, and well worth it to ensure your vision is clearly defined before work begins. Questions 2: Why do you need architect plans? When do you need to talk to a structural engineer? Architectural plans or drawings are needed for any construction project that requires a building permit. That can include things as simple as adding a new doorway to the exterior of your house, or installing a larger window in an existing opening. Basically, any project that requires structural changes to your home, or significant changes to the exterior will require a building permit, and therefore architectural drawings. 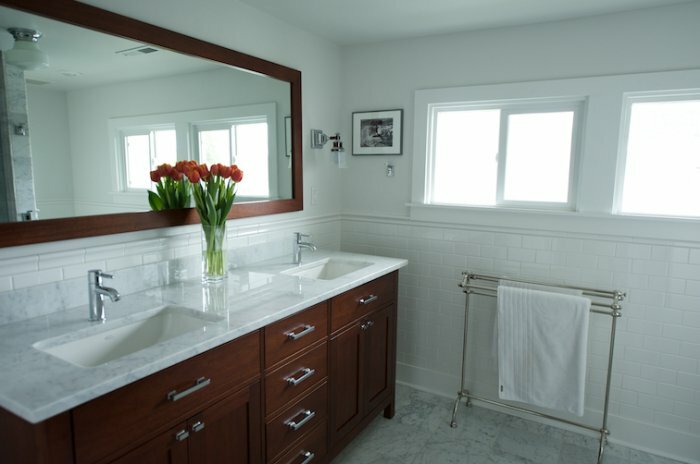 Some projects, such as remodeling your bathroom, may seem like they would require plans and a permit, but actually may not. If you are keeping the overall dimensions of the room the same and not removing walls or changing doorways, you may simply need to apply for trade permits, (plumbing, electrical, mechanical), that do not require architectural plans. Even if your project does not require plans, it is always beneficial to have some sort of drawings done for your project. Drawings and plans provide clarity of vision, specify materials, and make it possible to obtain accurate bids. Structural engineers are needed for any project where structural components of a house are being altered, added or removed. Let's say you are adding a new eight foot wide French door set to an exterior wall of your house. The architect will draw a specific header size for that new opening, maybe with some metal brackets and hold downs. A structural engineer will then use mathematical calculations to prove that the header is sized correctly, that the lateral loads from the roof are supported correctly, etc. A client, however, should almost never need to talk with a structural engineer, unless they are taking on their construction project by themselves. All architects and contractors work with engineers and would take care of that as part of the drawings and permit submission phase of your project. Question 3: What makes a good contractor? I believe what makes a good contractor is an almost pathological attention to detail, and a strong ability to schedule and problem solve. I guess you could say that "detail" is my theme for this "Five on Friday". When a contractor is detail oriented, he catches small problems and imperfections before the client sees them, and before they can become big problems. This builds confidence and trust between client and contractor, which is the backbone of any successful project. If a client stops by their project and finds half a dozen small issues before the contractor has alerted them to said issues, it leaves the client feeling as if no one is looking out for their best interest. A client should know that their contractor is the final line of defense in ensuring their project turns out exactly as they have envisioned it. Even with a keen eye for detail, problems arise on every single construction project. What separates the great contractors is their ability to quickly solve these problems without excessive cost overruns or scheduling delays. Question 4: What should someone look for in a bid for work? The short answer to that questions is details, details, details, details. Construction bids come in all shapes and sizes. I have seen bids that are a single short paragraph, with a lump sum dollar amount at the bottom. I have seen bids that contain a hundred pages of text, with hundreds of itemized figures for every phase of the project. If you're wondering which one is better, it is the latter, and I'll tell you why. DETAILS!! Let's look at a single, small portion of an average construction project, a door. The decisions that need to be made about this tiny portion of your project are: solid or hollow core door, real wood or MDF, painted or stained/polyurethaned, what type of hinges, what type of lockset, what type of casing/trim around the door. If the bid you receive simply says, "Purchase and install new door in bathroom with new trim and lockset", how do you know what you are getting? Let's take it even further. Your contractor has set an allowance in his bid for a hollow core, MDF, painted door, with MDF trim and an average lockset. Cost to purchase and install: $500. You want a solid full light fir door with a four piece clear fir trim detail and an antique lockset. Cost to purchase and install, $2000. Now let's say there are eight new doors as a part of your project. That's a difference of $12,000!! I think you can start to see why having specific details in a bid are so important. All good contractors know that bidding is an arduous and time consuming process that is absolutely essential to set a budget and schedule for a project. Having all the details broken apart and itemized also makes things much clearer when you are competitively bidding several contractors for your project. It lets a client see if they are comparing "apples to apples". Question 5: What's your favorite part of the job? Exceeding client's expectations. There is nothing more rewarding than hearing a client say, "I had no idea it was going to turn out so well, this is amazing!" Money is great, but if you are in a service based industry and don't derive your satisfaction from helping clients to achieve their vision for a particular project, then you are in the wrong business. This week for 5 Questions we sat down with Trace Brash to answer some of our questions about ADUs! Question 1: How much do ADUs cost? Are there financing options available? On a per square foot basis, ADU's tend to be higher than what might ordinarily be quoted for building, as they tend to be smaller than a whole house new-build, depending on a host of variables including if you are building from scratch or converting existing space. Construction loans can be difficult and complex, so many people choose to take out a home equity loan and then refinance the whole property when the ADU is complete. Question 2: What should someone expect from the permitting process? Question 3: Can any structure be an ADU? 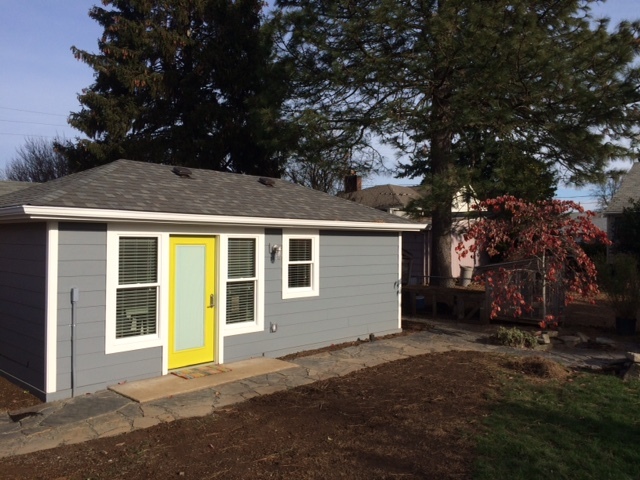 What are the difficulties for retrofitting an existing space into an ADU? Question 4: How large or small can ADU's be? The ADU may be no more than 75% of the total living area of the house or a maximum of 800 square feet, whichever is less. Questions 5: Are there any changes regarding ADU's you're excited about? I'm not excited about it, but there is an ongoing debate/fight as the Multnomah County Tax Assessor has changed the way ADU's are put on the property tax role. This may have large implications to a person's property tax bill. which they should research as part of the budgeting process. Questions 1: What should people know before going to speak to a financial advisor? What can a financial advisor do for you? In general, people should have an understanding of where they have their investments and the types of investments they own (Mutual Funds, Stocks, their risk tolerance, etc.). They should also have a budget and how much they can and will save (in bank accounts, 401ks, IRAs, etc.). Thirdly, they should have considered their future in regard to their investments (spend it all, pass it on to their heirs, donate it, pay for college, buy a vacation house, establish a trust, to name a few ideas). Question 2: What's the hardest thing to explain to clients? Many times clients are surprised by the volume of money they need to retire and maintain the lifestyle they want. That can be a difficult conversation. Question 3: Are there any changes you're excited about? There's been constant change in our industry! I'm mostly excited about a shift away from hidden fees and veiled performance numbers. There has been a much needed shift to transparency, and many tools and investment products have developed allowing investors to manage their investments on their own. These shifts have made the industry much more efficient and affordable. Question 4: What shouldn't a financial advisor be doing? Unless they have the proper credentials, a Financial Advisor should not be drafting any trusts or filing taxes for their clients. Some advisors discuss estate and taxes generally, but they should refer clients to professionals in those specific areas if they see a need. Question 5: How should you choose a financial advisor? I think the most important thing about choosing an advisor is trust. Do you trust them and have they ever violated that trust? They should also be able to explain their fees clearly. If their answer is indirect or convoluted, they may not be the most trustworthy advisor. Have you ever noticed when people start talking about buying a home, they have strong opinions on carpet? 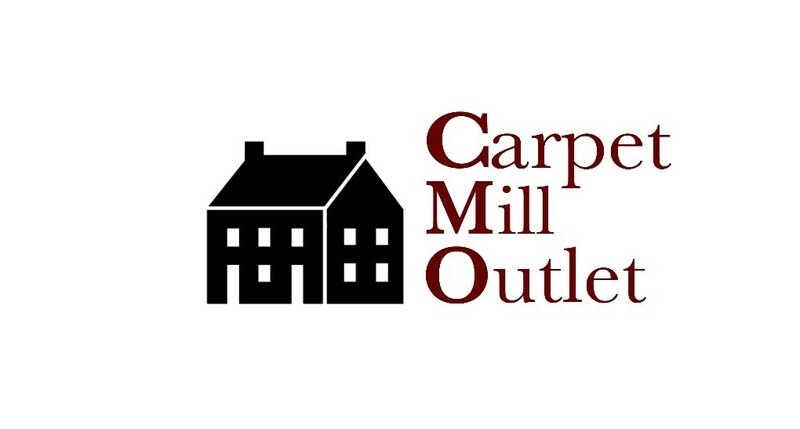 We thought it would be fun to sit down with Kevin Harrison of Carpet Mill Outlet, to learn more about home carpets! My wife and I moved to Portland from the Chicago area in 1994. Most of her family was living here and we did not want to miss out on those relationships. So we packed up all our belongings and moved west. After a couple years both my wife and I had joined her father's company. One part of that company is the Carpet Mill Outlet. We've been very happy with our decision to move here. We were attracted to the north east neighborhoods and the charm of the older homes. It's been a great community for raising children, making friends and of course great restaurants. I do miss the Chicago pizza. What do clients need to consider before purchasing carpet? There are several things to consider as you think about new floors, for example: What do I like or dislike about my current floors? What areas of the home is this going in? How much usage will this area have? What are my color schemes? How soon do I need it? We want to make sure that the new product will be a positive addition to the home. We also do not want to focus so much on durability and function that we forget that this is also about fashion and appearance. We love working with our clients to help them find the best product to fit their needs, we offer so much more than just carpet. What do people need to know about the installation process? Like any home improvement there is a bit of upheaval before improvement. Each room will need to be emptied of all furniture before installation can be done. Often everything can be moved to one room while the other areas are worked on. Then, that room can be emptied and the installation can be completed. Not all the heavy lifting needs to be done by the homeowner though so don't let that hold you back from changing your floors. Are there sustainable types of carpet? The first one that comes to mind is wool. Wool is comfortable, warm, soft, and naturally sustainable. It can be a bit expensive though. To get around the expense we keep a lot of wool carpet mill ends in stock. That way we can fill the client's desire for wool carpet for about a third of the usual cost. The industry in general is very focused on sustainability and recycling. They have improved manufacturing techniques that use much less water than the past. Some fibers like P.E.T. polyester is made from close to 100% recycled materials. What are some of the current flooring trends? We find that a lot of the "public" spaces in homes like living rooms, family rooms, & kitchens have wood or tile flooring. This has led to continued popularity of one of my favorite product lines, area rugs. Area rugs add color and soften the feel of a room. Carpet remains popular in bedrooms and other rooms whose focus is comfort. Another product that has a lot of popularity is Luxury Vinyl Flooring. It is a great alternative to wood or laminate in areas that would have exposure to moisture like bathrooms, utility rooms or kitchens. It has updated looks is easy to install and is relatively affordable. No matter what product type we talk about, the trending color is Grey. This week we learned more about earthquake retrofitting with Don Francis from Eco Tech. Question 1, Where are you from? My family moved from New Jersey to Corvallis when I was 3 years old. We moved to NW Portland when I was 10. I graduated in 1977 from Metropolitan Learning Center (MLC), just down the street from my home. I knew there had to be better place to live than where I grew up. So in 1980 I began a 3 year career driving Green Tortoise buses. Over the next few years and thousands and thousands of miles I saw a lot of America and concluded that there was no better place to live than my home, Portland. I never left. Question 2, What are you most proud of? I have followed in the activist steps of my mother, who marched with Dr. King in Washington, DC in 1963 and continued on a peace activist and homeless advocate and also her parents, my grandfather was conscientious objector to WWI and my grandmother was a suffragette. In the past, I was an Action Coordinator for Greenpeace, a community organizer for Northwest Environmental Advocates and the Urban League of Portland. In 1996, with the assistance of Robert F. Kennedy, Jr., I started Willamette Riverkeeper, which I ran for 4 years. Willamette Riverkeeper continues to advocate for the river I love. Katy Brooks and I started EcoTech in 2003, dedicated to making our fellow community members safer one-house-at-a-time. Twelve years ago, Portlanders were not aware of the risk posed by radon. We changed that by speaking at neighborhood gatherings and real estate offices and by pitching stories to news media about radon testing and mitigation, which EcoTech provides. Nearly 8 years ago, EcoTech began retrofitting houses with earthquake attachments to make homes safer during an earthquake. Other services EcoTech provides include underground tank decommissioning, contaminated property cleanups and asbestos testing. At the end of every workday, the 25 employees at EcoTech go home knowing that their community members are safer than at the beginning of the day. I am especially proud of EcoTech's staff and proud to provide a supportive and progressive work environment. Question 3, What do you do in your spare time? Outside, I love to travel, hike, bike and backpack! Inside, I like to hang out with my family and friends and read. Question 4, What should we do to prepare for a Cascadia Subduction Zone mega quake? Prepare to be largely self-sufficient for at least 2 weeks; store 1 gallon of water per day per person, adequate food and supplies - preferably not in your basement. You will be camping for 2-4 weeks. If your house is older than 1985, have your home attached to the foundation. Purchase earthquake insurance for your home and, if applicable, for your rental houses. Insurance will help protect your equity and investments. Have a plan - Who gets the kids? Where do you meet? Who is your out of area contact? Question 5, How much does it cost to attach a house to the foundation? The cost varies depending on a number of variables including the footprint size, number of floors, access to foundation, etc. Most houses can be attached to the foundation for $2,500 - $4,500. Don't Panic! We've started the work for you. Often one of the largest hurdles to emergency preparedness is inaction due to fear and not knowing where to begin. Don't panic, we've started the work for you. Below you'll find a map of your neighborhood emergency meet-up site and a list of must-haves and where to purchase them. Additional important items: First aid kit, a large shovel, a crowbar, and food. I'm going to forward this on to people. Good stuff! Heather Paris put together a great presentation on what to do whether are indoors, outdoors, or in your car! Yay Claire!!! You are the coolest!! 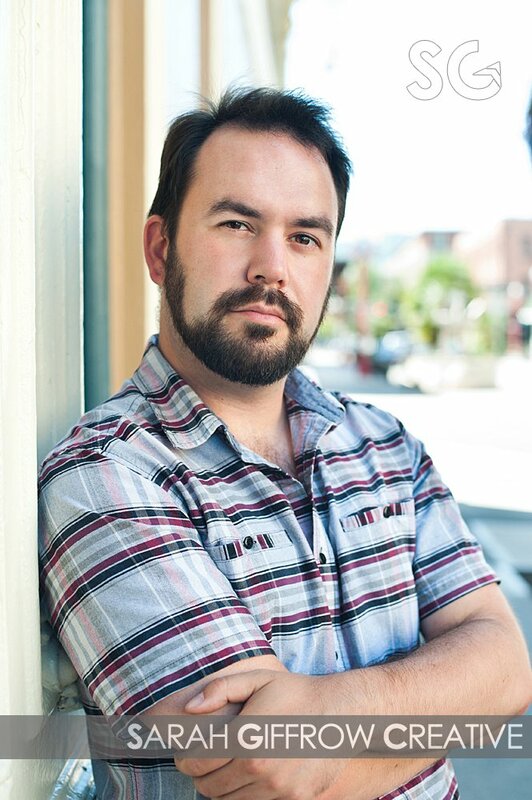 This week we sat down with Joe Streckert, an independent Portland-based journalist and the host of Interesting Times, a podcast on XRay FM and interestingtimespodcast.com. Question 1: Why do you like Portland? Do you have a favorite neighborhood or pocket in the city? I'm from here, so I'm a bit biased, and while I grew up in Northeast Portland I think I've been won over by Southeast at this point. The quadrant certainly has its share of trendy and popular destinations, but what I really appreciate about it is that, in multiple sections of Southeast, there's always some kind of main drag or central area nearby with cafes, bars, restaurants, etc. I live in Foster-Powell and am within walking distance of a pretty good cafe, an excellent bagel place, a geeky game store, a dive bar, and the amazing Foster Burger. That walkability and accessibility informs a lot of Portland neighborhoods, but I think it's especially on display here with Hawthorne, Belmont, Division, and (yes) SE 82nd. Having access to things even outside of the main downtown is important. Question 2: Do you ride a bike? Go running? Climb at a rock climbing gym? What Pacific NW activity are you interested in trying? Share a little bit about your Pacific NW activities. I do ride a bike with some frequency and, while I do run, I don't do it nearly as often as I should. In the past year I've gotten into bouldering and really like The Circuit as a gym. Earlier this summer I did the Warrior Dash, one of those mud runs, and it was a lot of gross fun but not super demanding. Question 3: What's the last book you read? The Martian. It was great. I loved how comprehensive it was about what it would take to get to, survive on, and get off Mars. Question 4: How did you start writing about Portland? The first thing I ever published was a short list on the McSweeney's website. It wasn't terribly long or even all that funny, but it was published work and McSweeney's is a name that a lot of people respect. With that single clip under my belt, I was able to get a few freelance gigs with outlets like Not For Tourists and Nerve. Eventually I got a regular blogging job with Portland's Daily Journal of Commerce, writing about construction, architecture, and the built environment downtown. The DJC was not in a good way, though, and they had to cut me and their other regular freelancers. I got my start with Portland history through my day job as a tour guide. I'd been teaching for Kaplan, the test prep company, and they laid me off, but tour guiding was similar to teaching, and I eased into it pretty well. Working for a company called Portland Walking Tours, I learned more local history than I ever thought I would, and, freshly cut from the DJC, I started pitching to the Portland Mercury. They were into doing a few features on local history, and since then I've written things about the Vanport flood, Portland's urban planning history, and where this city is going. I've also done a lot of miscellaneous work for them, which is always fun. Everything from TV recaps to cocktail reviews to election coverage. They're great to work with. On top of that, I'm also part of a history collective called Stumptown Stories which does local history lectures on the second Tuesday of every month at the Jack London Bar (I'll be talking about the 1905 Lewis and Clark Expo on November 10th at 7:30), I write for Comic Book Resources, and I have a history podcast called Interesting Times which also airs on Portland's XRay FM. I love it. All of it. Creating things is consistently rewarding, and I never want to be in a place where I'm not writing. Weirdly, I owe it all to that silly McSweeney's list that I published years ago. If I hadn't gotten that one clip out there from a notable literary mag, then I probably wouldn't have a lot of the gigs I have now. Question 5: Where do you think the current real estate market is going? I recently wrote a whole feature for the Mercury on this. I think it's safe to say that the population is going to grow, the demand is going to continue to increase. That means more density. This will probably be a good thing. There are a few patches of the city that have never really been all that vibrant and now we see them flourishing a bit more. For example the Lloyd District has been a dead zone for a long time, but now there are actual apartments going up there, and the South Waterfront used to be a huge boondoggle, but now real activity is going on. I do hope that people don't get displaced, though. I know a few folks who have had to move because of rising house prices, and that's not good. Hopefully we can have development that accommodates the maximum amount of people possible. This week we sat down with Joseph Ruppa from Eastside Woodworks; we were excited to learn more about the craftsmanship of woodworking! Joe, where are you from? I was born and raised in southeast Portland, and I'm a product of our excellent public school system! Do you have a favorite neighborhood or pocket in the city? I love Ladd's Addition. Cars tend to avoid its maze-like layout, giving it a quiet, almost lazy atmosphere, it is filled with big, beautiful houses, the rose gardens are lovely, and the giant elms are a pleasure to observe through the seasons. Do you ride a bike? Go running? Climb at a rock climbing gym? What Pacific NW activity are you interested in trying? I often ride a bike to work- I love mixing up my route and seeing new things, and the benefits of the exercise and the avoiding traffic are undeniable. For fun, I try to get to the climbing gym from time to time, I'm a lifelong skier, and I recently began riding my bicycle on long road rides with friends. The Pacific NW activity I'd be most interested in trying is climbing Mount Hood! I've been up Mount Adams and Mount St. Helens, but I'm still looking for the right partners and the time to get up our majestic peak. What's the hardest part of your job? The hardest part of my job is estimating the time it will take to do specific tasks, and also to complete whole projects. The goal is to provide myself with a consistent flow of work, to meet my clients' and my expectations, but there are always unexpected delays or distractions, so accomplishing that goal a work in progress. I'm optimistic about the population of Portland continuing to be appreciative of carefully considered, high quality custom cabinetry and furniture. I get the sense that compared to many other parts of the country, an unusually large portion of our population understands the value of, and are happy to pay for the kind of work that I do. I like building things that will last families through generations, and folks here seem to want that. How long do projects usually take? How much do they cost? And what kind of wood do you like to work with? It is very difficult to generalize about project duration (see "challenges" above), since each project brings with it a unique set of challenges, but folks thinking about a kitchen, a built-in or a piece of furniture would be wise to get in touch with me a few months in advance. In general, the bigger the project, and the more components (electrical, plumbing, etc), the longer it can be expected to take. It takes time to do things right! As with the duration of a project, the nature of a custom business is such that I wind up using all sorts of wood. However, I find myself being drawn back again and again to Oregon white oak and Oregon black walnut for a number of reasons. First and foremost, the wood is beautiful. Oregon white oak is set apart from the red oak we are all used to seeing in mass-produced furniture by its color, as well as the sinuous quality of its grain, and a rusticity that can take a simple kitchen or a piece of furniture to the next level. 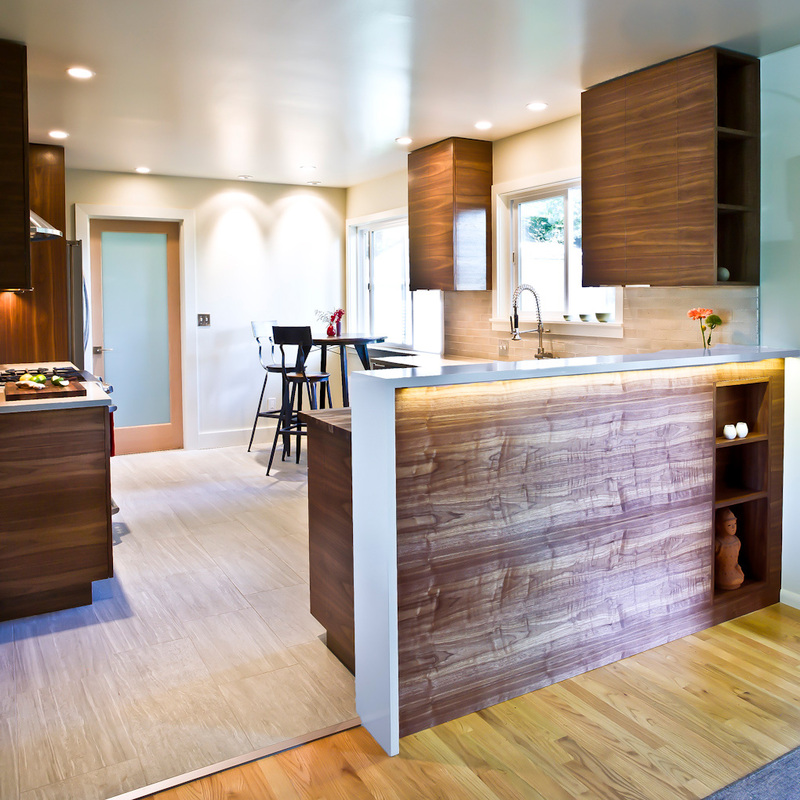 Oregon black walnut has a depth and range of browns to purples that is irresistible. It is not uncommon to find really beautiful figures in Oregon black walnut as well, which lends a fantastic three-dimensionality to its surfaces. In addition to their unique look, many of these trees are harvested from old farms and ranches right here in the Willamette Valley! These trees grow to be enormous here. The milling operations tend to be family run, and on a small scale, so the lumber from an individual tree is often dried and sold together. This allows woodworkers such as myself to select sequential, matching boards to work with, and many times, the boards may even carry their specific history with them. I like that the story of a wood product can stretch back before my role in building it, as well as into the future. I find that this story and connection to place can add a real richness to my process, and to the final product. This week for Five Questions on Friday we sat down with Clint Elliott, a Private Mortgage Banker from Willamette Valley Bank. Question 1: Getting to know you; where are you from? What do you miss about your home town? Why do you like Portland? I'm from Tucson, Arizona. I miss the Mexican food! I love Portland because of all the little villages in different n eighborhoods. I live in and love NE. There is a great diversity of people and the changes that are happening in every neighborhood are incredible! Question 2: What are you most proud of? And what do you like to do in your spare time? My three beautiful children; I try to spend as much time with my family as possible, we love to camp, and spend Sunday mornings soaking at the Kennedy School. I'd like to take more time to travel with my family, sometimes I forget that life is about experiences. Question 3: What are you most excited about in a house? And what would you be willing to compromise on with a house? I love old houses, it is fun to walk through a home and try to imagine how the people who were there before you, lived. Size, I am always willing to trade charm for size. It's not always "the bigger, the better" for me. It has to feel right, and sometimes smaller feels better. Question 4: What is the hardest thing to explain to a client? The hardest thing to explain to a client is how much the mortgage industry has changed. A lot of clients are surprised by the amount of information that is needed to secure a loan in this day and age. It is much different than it was even just a few years ago, most of the changes are truly for the better to insure that people who can afford homes get them. Question 5: What are you optimistic about? I am optimistic about the growth that Portland is seeing. It is exciting to see so many people gravitating toward the culture and vibe of our amazing city!